AUCKLAND, New Zealand - New-look Auckland City FC are ready to get their ISPS Handa Premiership season off to a flyer when they host FIFA Club World Cup-bound Team Wellington in the NZF Charity Cup at Kiwitea Street on Sunday. 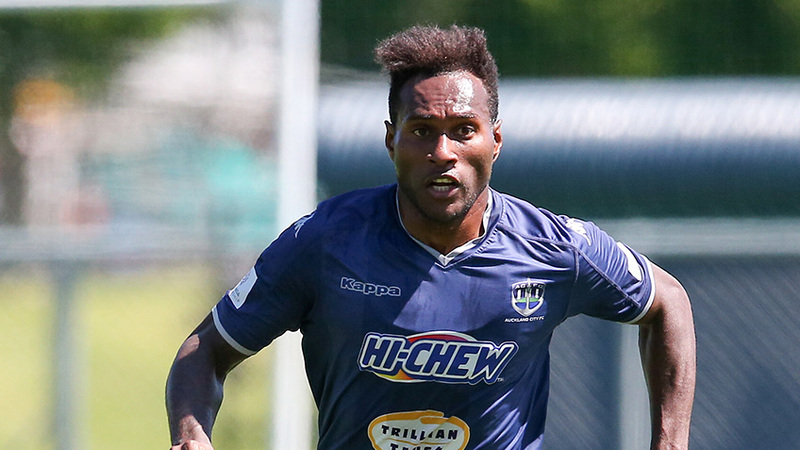 The Navy Blues and TeeDubs have developed their own rivalry in the last four years across OFC Champions League, ISPS Handa Premiership and NZF Charity Cup tustles with the Wellingtonians snaring their first Oceania title after knocking Auckland City FC in the semi-finals on the away goals rule last season. The Navy Blues have responded quickly in rebuilding their squad with Darren White, Kris Bright, Marko Dordevic, Cole Peverley, Liam Graham, Daewook Kim, Ryan De Vries and Emiliano Tade all exiting from the set-up. Coach Ramon Tribulietx has signed defender Hayden McHenery, Vanuatu international skipper Brian Kaltak, striker Javier Lopez, tricky wide player Dylan Manickum, midfielders Jordan Vale and Yousif Ali, goalkeeper Ruben Parker, Junior Navy Blues youth product Maro Bonsu-Maro and versatile Papua New Guinea international David Browne, back for his second spell at the club. Clashes between the Navy Blues and Team Wellington were tight affairs with a win, a draw and a defeat in the ISPS Handa Premiership. There were two draws in the OFC Champions League semi-finals while Team Wellington wrestled back the NZF Charity Cup in a 3-1 win at David Farrington Park. "Team Wellington and their coach Jose Figueira are well known to everyone at the Navy Blues given our close rivalry in the ISPS Handa Premiership and OFC Champions League. "The first game of a new campaign is always difficult to predict an outcome but I expect to see two teams that while short of being at full throttle will have a very clear pattern of play on display nevertheless. "What we can expect is a very tight match similar to what we saw last season," Tribulietx told www.aucklandcityfc.com. Missing for Auckland City FC are recently confirmed New Zealand citizens Albert Riera and Fabrizio Tavano. Riera is recovering from knee surgery and is expected to be out for six weeks while Tavano serves a suspension following on from his time with Three Kings United in last season's Lotto NRFL Premier Division campaign. Up for grabs is the NZF Charity Cup, a trophy won by Auckland City FC four times in the past. If the match ends in a draw after 90 minutes, the winner of the trophy is decided in a penalty shoot-out. Auckland City FC kick-off their ISPS Handa Premiership season on Sunday 14 October 2018 when they host Team Wellington at Kiwitea Street at 4.35pm NZST. AC (squad chosen from): 1. Enaut Zubikarai (GK), 2. Hayden McHenery, 3. Takuya Iwata, 4. Mario Bilen, 5. Angel Berlanga (c), 6. Brian Kaltak, 7. Cameron Howieson, 9. Javier Lopez, 10. Micah Lea’alafa, 12. Dylan Manickum, 14. Jordan Vale, 15. Daniel Morgan, 16. Yousif Ali, 17. Reid Drake, 18. Ruben Parker (GK), 19. David Browne, 20.Te Atawhai Hudson-Wihongi, 21. Maro Bonsu-Maro, 23. Alfie Rogers. The NZF Charity Cup was first played for in 2011 when Auckland City FC defeated arch-rivals Waitakere United 3-2. Designed as a stand-alone season curtain raiser, the NZF Charity Cup pitted the New Zealand champions against the nation's best performed competitor in the previous season's OFC Champions League. As a result of that criteria, Auckland City FC has competed for this trophy every season since and won it on four occasions in 2011-12, 2013-14, 2015-16, and 2016-17, finishing runners-up twice in 2012-13, 2014-15 and 2017-18. Since 2016, the NZF Charity Cup doubles as an ISPS Handa Premiership match, raising the stakes even further as New Zealand's premier clubs seek to lay down an early marker in their pursuit of silverware.